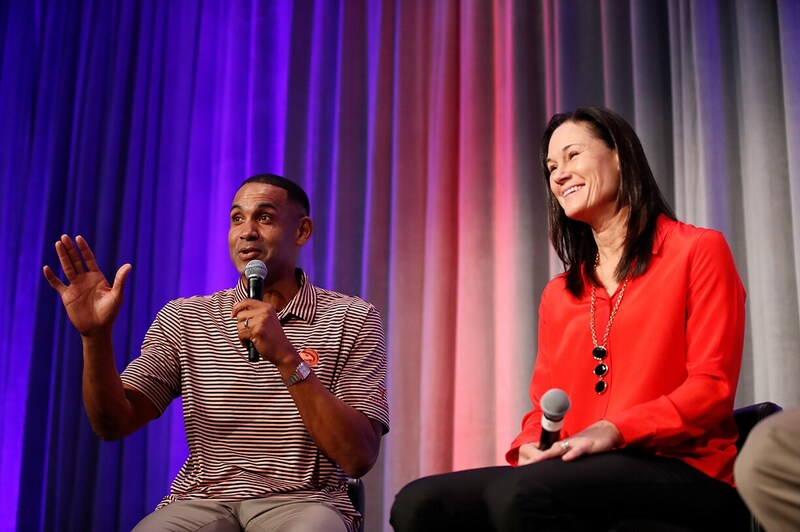 Past speakers featured include: Grant Hill, Muffet McGraw, David Robinson, Jerry Colangelo, Frank Martin, Jim Boylen, Jennifer Azzi, Clark Kellogg, Mike Brey and others. The NBA has long been committed to serving communities all over the world. Over the last few years, the NBA’s youth programs have seen extensive growth with the relaunch of the Jr. NBA, the development of the Jr. NBA Global Championship, and the debut of Her Time To Play, a platform dedicated to inspiring girls to play the game in a fun and healthy way. With a focus on improving coach education, player health and wellness, and creating guidelines for appropriate youth development, we’ll discuss how the NBA continues to shape the youth basketball landscape for players, coaches, and parents. The current youth sports landscape has many challenges. Reports have been filled with stories of toxic sidelines, over-the-top parents, bully coaches, sore losing children, and overall bad sportsmanship. With free play and development often de-emphasized in youth sports, the impact on the growth of our game continues to manifest itself in participation numbers, a shortage of trained referees for play, and increased sports dropout rates at younger ages. What role can we all play to ensure that those in charge of developing young athletes value and promote the right measures of success and bring back the “youth” in youth sports? Improving your program starts with great communication at all levels of the organization. Great leaders have communication skills that allow them to respond instead of react, ask questions that generate insight, and can skillfully navigate difficult conversations in a way that builds trust and relationship. Participate in this working session and learn how to use language to remove barriers, foster connection, improve culture, and strengthen organizational connectivity. Gen Z is projected to be 2.56 billion people by 2020, and is already influencing financial, communication, and social trends across the world. Learn what makes this generation tick – from their humanitarian values, to their definitions of success to their average attention span. Overcome barriers and understand the most effective ways of connecting and motivating this next wave of athletes and leaders. Most coaches judge performance through team wins and losses or individual player stats. Great coaches know that optimal performance begins with how athletes practice to compete, which takes a great deal of mental preparation. Dr. Tiffany will share best practices for developing your team and individual players’ mental strength to achieve their optimal performance. A performance chart will be provided to those who attend as a tool they can refer to when communicating with your teams. Successful businesses understand the need to continuously improve their processes to become more efficient and productive, and to respond to market changes faster while providing better service to their customers. Sports organizations are no exception. Ensure you have the right framework in place that can help position your organization for success for the foreseeable future. Youth coaches and sports administrators play a critical role in the development of youth as athletes, but that responsibility also extends to their growth as individuals. Sports have long been known to transform communities, change attitudes, and break down barriers. Today, young athletes are in a unique position to use their platforms to actively engage with societal issues, influence their peers, and effect change. How can administrators help the leaders of tomorrow find their voices and make connection between athletics, academics and community? Coaches and administrators can acquire practical tools to enhance their leadership, develop their athletes on and off the court, and improve the culture of their teams and organizations. This interactive workshop provides key stakeholders with tools to evaluate and improve the culture within their organization through a self-leadership exercise, tips on how to develop team leaders, and analysis of your current organizational culture. Teens and young adults are struggling with mental wellness at alarming rates. The Centers for Disease Control and Prevention reports that 1 in 5 American children ages 3-17 — about 15 million — have a diagnosable mental, emotional or behavioral disorder in a given year. There has been a significant amount of research linking physical activity with enhanced mental health, as such, sport is uniquely suited to help young people heal, especially when used intentionally. Learn some tangible strategies that you can use to help young people manage their reactions to stress, overcome isolation and improve their overall wellbeing. Learning how to manage competition is one of the most valuable lessons that sports can teach. However, not every child has the same experience or comfort with competition and the stress that comes with it. Join a group of panelists led by Up2Us Sports for an interactive workshop that will examine the realities of competition and how youth sport coaches can leverage competitive environments to maximize skill-building and performance. Developing your coaching philosophy means identifying the purpose of your coaching, your coaching values and choosing your leadership style. It allows for a better understanding of yourself and where your gaps lie. In this workshop, coaches will establish their “why,” identify core values, and then utilize them as they are introduced to developmental factors for coaching – physical, cognitive, social, and emotional. Coaches will learn to incorporate their style and philosophy into evidence-based approaches to coaching for the most successful outcomes. In an era of digital disruption, those in the business of coaching are increasingly using new technologies to help solve age-old issues. This panel will highlight technologies that youth basketball organizers can use today to make their organizations better. The companies highlighted in this session have addressed training, player registration and data collection, video and highlight streaming, and even practice and game carpooling. The speakers will share practical tips and insights into applying innovation into your organization, and how to identify and utilize new technologies. The WNBA and NBA recognize the valuable role sports can play in the development of young girls and the advancement of women as leaders in society. However, there are many factors influencing participation of girls and women in sports; only 23% of youth sports coaches are women (Aspen Institute). This group of esteemed panelists will discuss how we can all can champion change on behalf of girls and women, helping them participate fully across all sectors and giving them a forum to connect, collaborate, and actively engage through our game. Jr. NBA will provide transportation services for attendees to the evening’s reception. Social and networking opportunity open to all attendees. While practicing and training ahead games is often routine, game day preparation can present unique challenges to both coaches and players. Learn the steps that teams can take to ensure players are physically and mentally prepared on game day, including proper nutrition, effective walkthroughs and warmup techniques to help prepare your players for the game. Dr. Marcus Elliott will present on injury prevention, performance and data-driven player development trends, including insights from a biomechanical study of hundreds of NBA players at P3. Dr. Elliott will focus on trends among young NBA players and how injuries are often telegraphed before they occur. Dr. Elliott will be available to discuss best practices for youth player development. Leaders influence people through their words, actions, and attitudes. Honing your communication skills and learning the best methods to reach your audience are crucial characteristics of an effective leader. In addition to promoting an active and healthy lifestyle, sports can lead to character development for young athletes. It is important to understand that everyone has different character traits which impacts their performance potential. Learn how to identify the various strengths weaknesses among members of your team, and how to maximize their playing potential by catering to individual character traits. Coaches can build team morale, confidence and chemistry by properly recognizing and managing each player’s character development. Buses depart to Renaissance and Chicago O’Hare Airport. 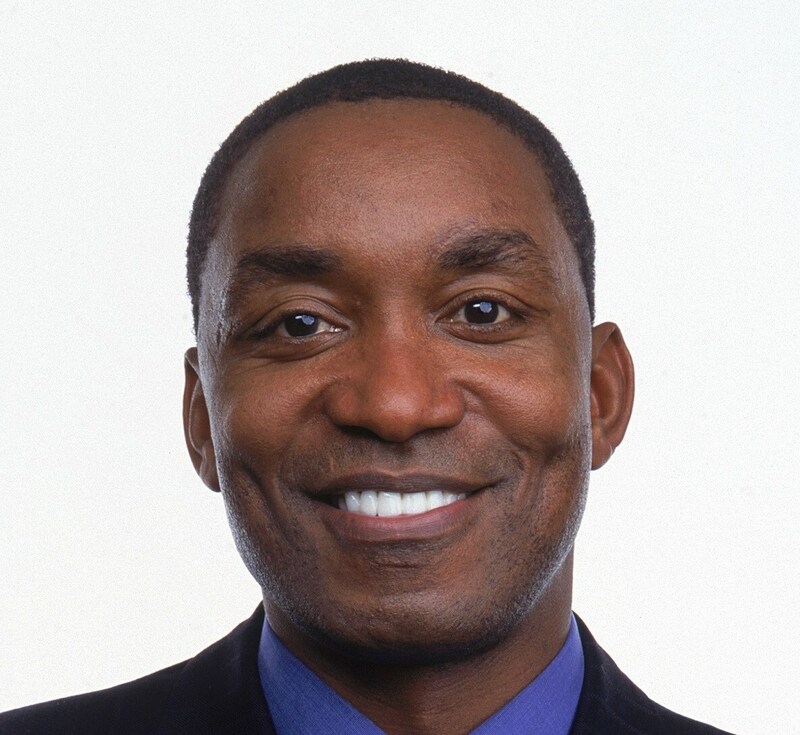 Isiah Thomas played under Hall of Fame Coach Bobby Knight at Indiana University. In 1981, he led the Hoosiers to the NCAA Title and was named Most Outstanding Player of the Tournament. Thomas was selected second overall in the NBA Draft by the Detroit Pistons, where he helped build a last-place team into back-to-back NBA champions in the late 1980s. He also became the franchise’s all-time leader in points, assists, steals and games played, and the fourth player in NBA history to amass more than 9,000 assists. Since retirement, Thomas has served as an NBA coach and executive for numerous teams. He currently works for Turner Sports – NBA-TV, and is the Chairman and CEO of Isiah International Holdings. 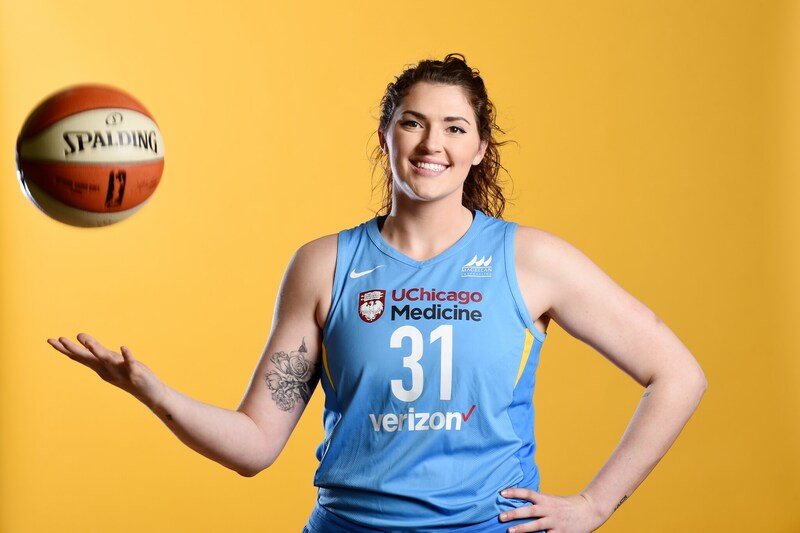 Chicago Sky Center Stefanie Dolson is entering her fifth WNBA season. Originally drafted as the No. 6 pick out of the University of Connecticut by the Washington Mystics, Stefanie later joined the Sky in 2017 and immediately became one of the team’s top scorers and rebounders. Last season, the two-time WNBA All-Star started in 25 out of 27 games played and was ranked No. 15 in the league and second on the team in blocks per game. During the WNBA offseason, Dolson has played internationally in Italy, Turkey, and China, as well as interned at Chicago-based fashion company Model Atelie. In addition to being a fearless competitor on the court, Stefanie is passionate about fashion, animals, and working with young girls to embrace their true selves and unleash their inner confidence. 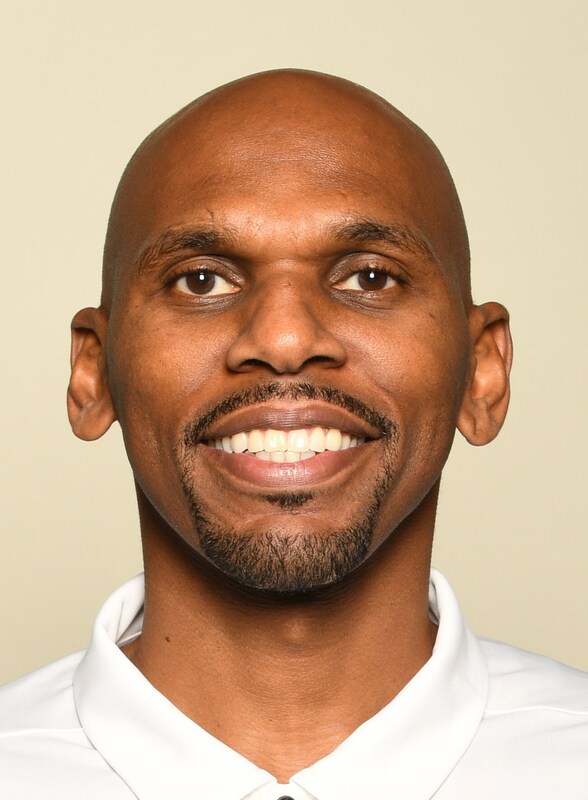 Jerry Stackhouse attended the famed Oak Hill Academy and was named the 1993 McDonald’s All-American Game MVP. He continued his playing career at the University of North Carolina, where he led the team to a Final Four appearance and was named the Sports Illustrated National Player of the Year. Stackhouse was selected third overall in the 1995 NBA Draft by the Philadelphia 76ers. He enjoyed a lengthy NBA career, earning All-Rookie First Team honors and scoring a franchise record 57 points in a single game for the Detroit Pistons. He is extremely active in giving back to the community, and has founded the Triple Threat Foundation and the Professional Athletes Council, designed to ensure funding for diabetes-related research and to combat childhood obesity respectively. Stackhouse was recently named Head Coach at Vanderbilt University. Julie Novak is the Vice President of Youth Protection for Big Brothers Big Sisters of America. For the past fourteen years, she’s served as the national organization’s leading expert on child safety & youth protection, leading the nationwide advancement of effective child abuse prevention strategies. She’s provided training and consultation to thousands of professionals, providing in-person workshops on child protection and risk management during her tenure with Big Brothers Big Sisters of America. 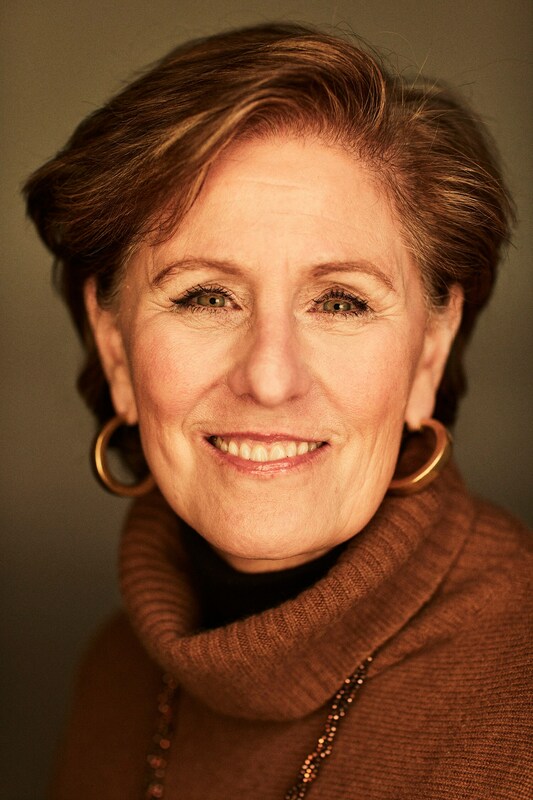 She has served as a Board Member of the U.S. Center for Safe Sport since its inception, and in 2018 she led the National Coalition to Prevent Child Sexual Abuse & Exploitation. She has served on advisory groups for the National Center for Missing & Exploited Children and Vice President Biden’s Gun Violence Task Force. 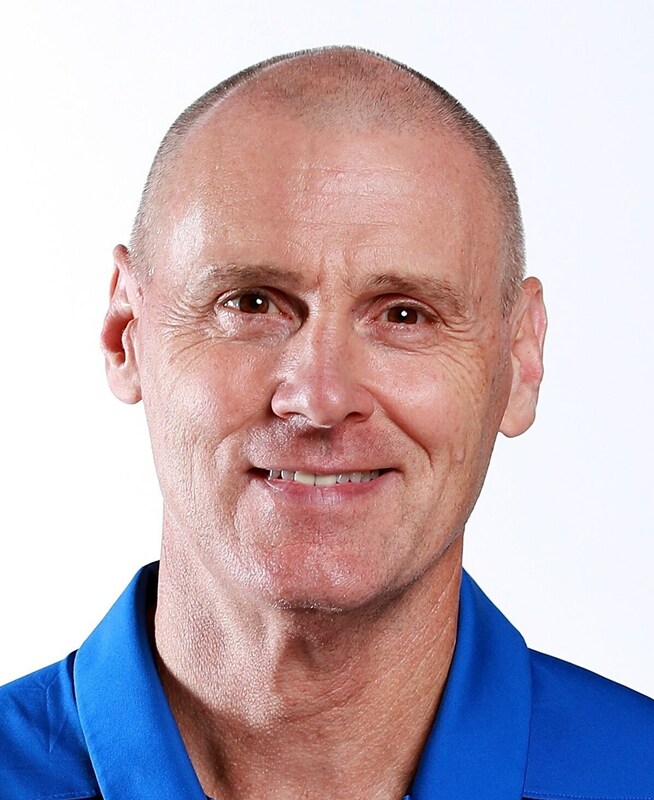 Rick Carlisle is in his 11th season as the head coach of the Dallas Mavericks. He was hired by Dallas in May 2008, and is the third-longest tenured head coach in the league. Carlisle became the winningest coach in Mavericks history with a victory at the L.A. Lakers on Nov. 1, 2015, passing Don Nelson (339) with his 340th win with the franchise. Carlisle has led his team to the playoffs 12 times in his 16 seasons as a head coach. He also is one of only 14 individuals to win an NBA championship as both a player and a head coach. Allan Houston, “H20”, spent the majority of his career playing shooting guard for the New York Knicks. Houston retired as a player after the 2004-05 season and ranks 11th on the NBA’s all-time list for career 3-point field goals made. 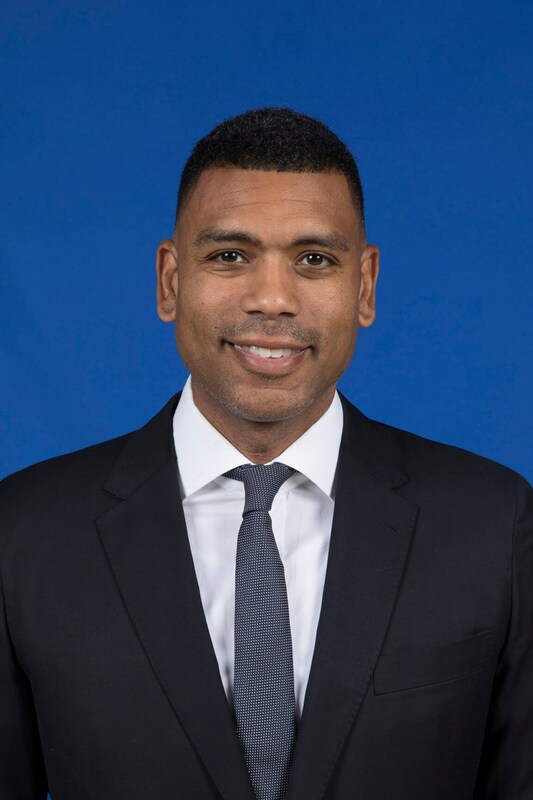 From 2000-04, five years straight, he was named by the Sporting News as one of the “99 Good Guys in Sports.” He founded the Allan Houston Legacy Foundation, which raises money and supports organizations such as the Boys and Girls Club and the Fresh Air Fund both in New York and Houston’s hometown of Louisville. In 2018, Houston was named the Assistant General Manager for the Knicks, as well as the General Manager for the Knicks’ G-League affiliate, the Westchester Knicks. 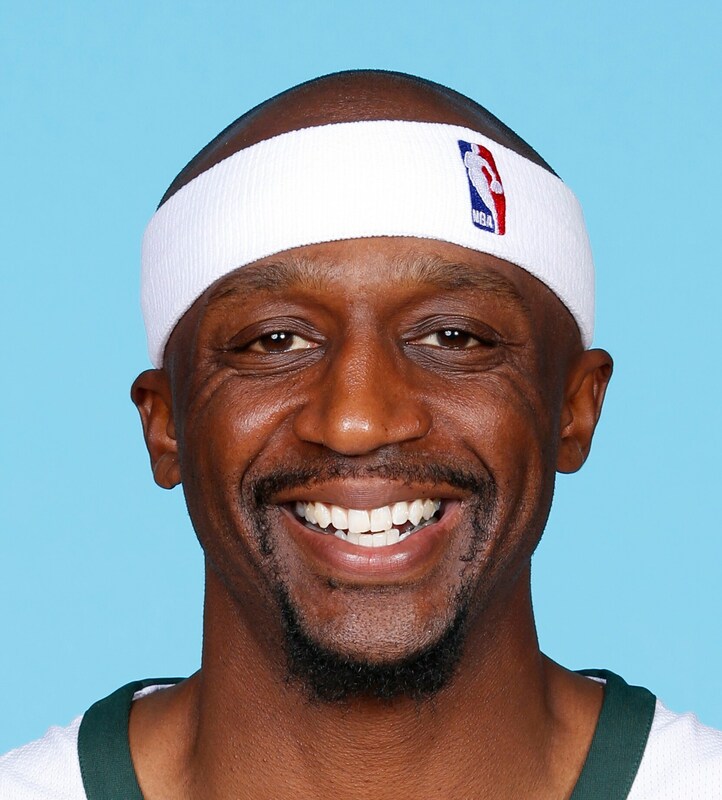 Jason Terry was selected 10th overall by the Atlanta Hawks in the 1999 NBA Draft. After spending 5 years with Atlanta, Terry was traded to the Dallas Mavericks. Known by his initials JET, mimicking an airplane with his arms as the wings became part of his persona in Dallas. Terry helped the Mavericks reach the 2006 NBA Finals, and became the fifth player to score at least 30 points in his first NBA Finals game. Terry went on to win a Championship with the Mavericks before also playing for the Celtics, Nets, and Rockets. He finished out his playing career with the Milwaukee Bucks in 2018, and retired with the fifth-most career three-pointers in NBA history. Terry currently lives in Dallas and is deeply involved in the youth basketball scene. 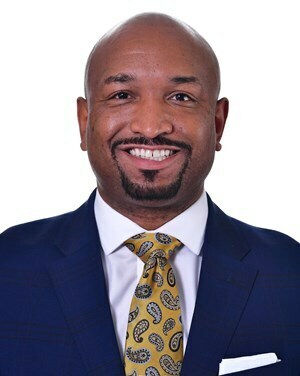 James Wade was named General Manager and Head Coach of the Chicago Sky in November 2018. He spent the last two WNBA seasons as an assistant coach with the Minnesota Lynx, where he helped guide the team to a 2017 WNBA Championship title. Wade played collegiately before spending 13 years playing professionally across Europe. Wade’s coaching career began in 2012 with the San Antonio Stars. A dual citizen of France and the United States, Wade also served as an assistant coach for French team Basket Lattes Montpellier Agglomération (BLMA) for three seasons, leading the team to a national championship for the first time in the club’s history. Wade is married to former San Antonio Stars guard Edwige Lawson-Wade. 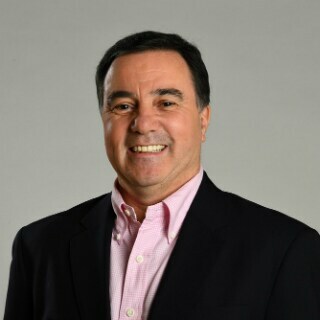 Fran Fraschilla has been a college basketball analyst at ESPN since 2003, providing expert analysis for college basketball, primarily in the Big 12, and is a staple on ESPN’s coverage of the NIT, the NBA Draft and the FIBA basketball world cup. Prior to broadcasting, he spent 23 years on the collegiate sidelines, including head coaching stops at Manhattan, St. John’s and New Mexico. He also served as an assistant at Providence, Ohio State, Ohio and Rhode Island. He earned his bachelor’s degree from Brooklyn College in 1980. 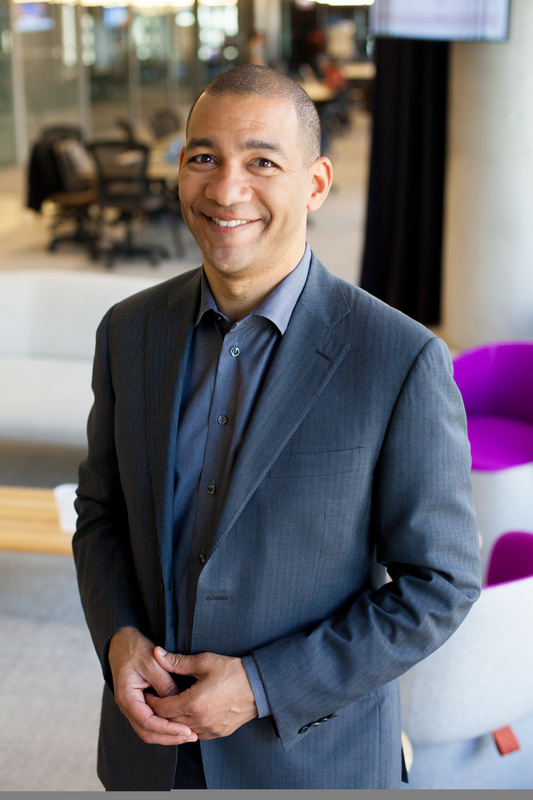 During his career, Adande has covered the Olympic Games, Wimbledon, the Super Bowl, the NCAA Final Four, the college football national championships, the NBA Finals, the Masters Golf Tournament and soccer World Cup. Adande’s work has appeared in the annual “Best American Sports Writing” series. 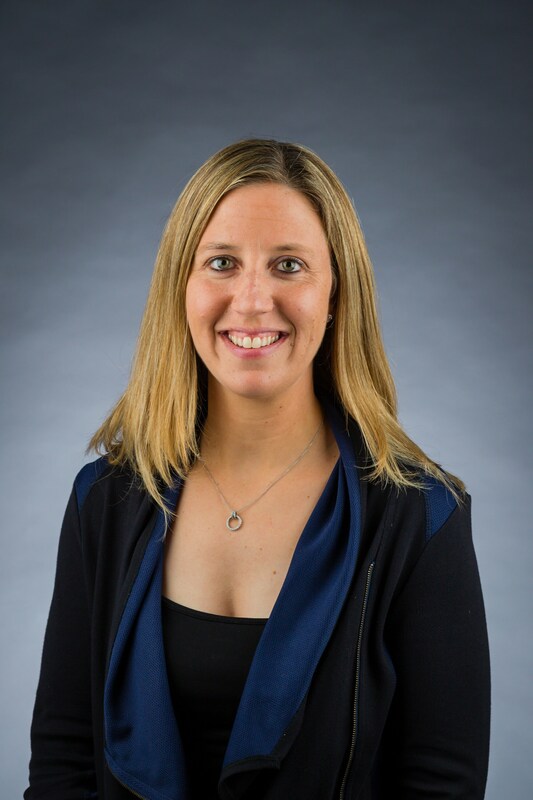 Megan Bartlett established We Coach to support organizations committed to using sports to promote youth development, and give coaches the tools they need to help kids succeed. 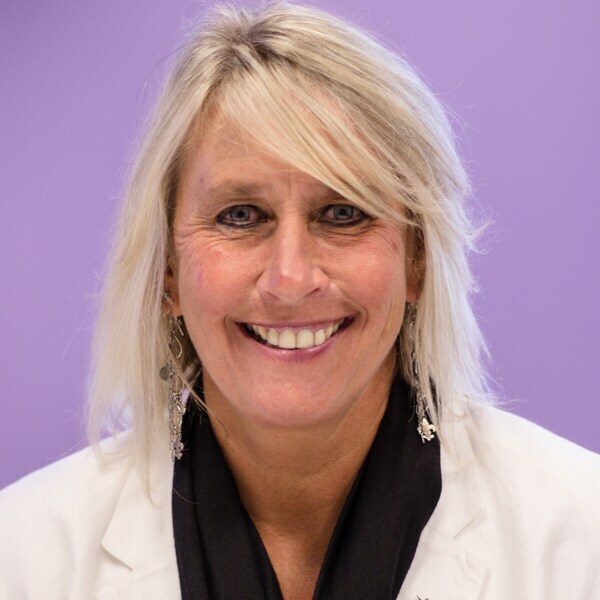 She created the first national coach training program to integrate trauma-informed practices and is currently working with the Child Trauma Academy to develop the “Neurosequential Model for Sport” to maximize the power of sport to help young people heal. Megan serves on Nike’s Global Training Advisory Group and is the co-author of the book Re-Designing Youth Sports: Change the Game. 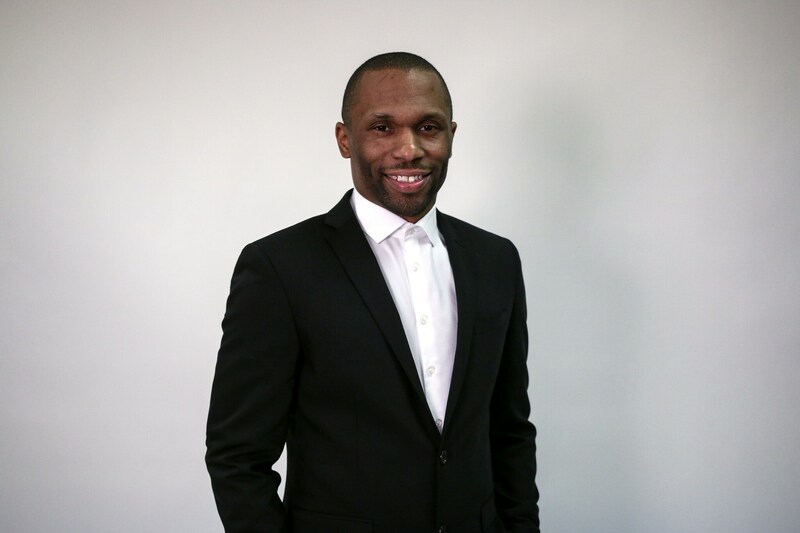 Mike Goings is the Director of Alumni & Youth Marketing for the Philadelphia 76ers. In this role, he works with both current and former 76ers players to engage in various business functions, including social responsibility, sponsor activation, digital media, and fan engagement. 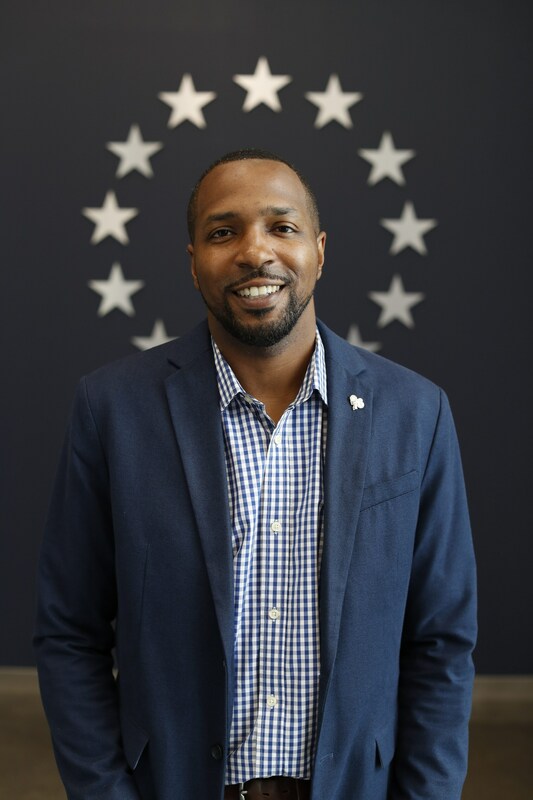 Goings also oversees the team’s youth marketing efforts, which are centered on developing the next generation of 76ers fans through targeted programming including Junior Sixers, 76ers Camps, and 76ers Kids Club. Goings is currently in his 14th season with the team and fourth in his current role. Arvind Gopalratnam is the Vice President of Corporate Social Responsibility for the Milwaukee Bucks and the Executive Director of the Milwaukee Bucks Foundation. As a member of the Bucks community team, Arvind leads the organization’s mission to make the place in which we work and play a better place for all families. 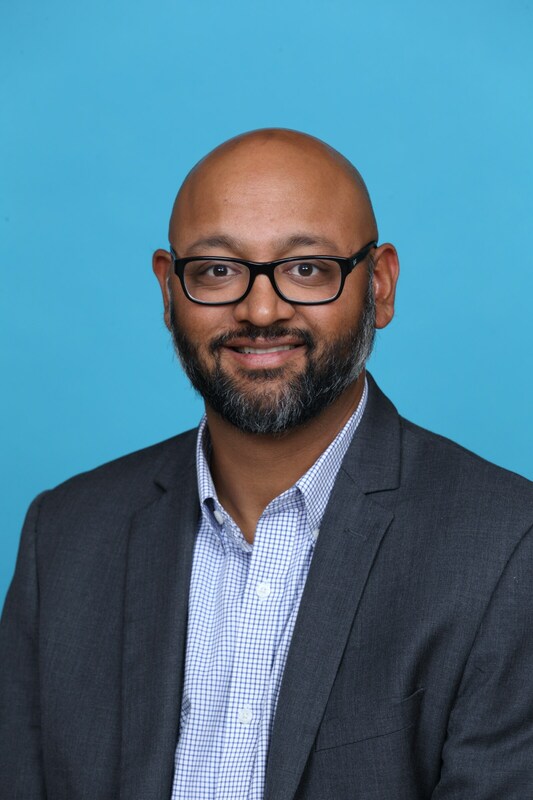 Arvind is currently in his third season with the Bucks after spending 11 years in corporate communications for NBC Universal and General Electric’s Healthcare business. With GE, Arvind developed extensive experience in the Sports and Healthcare industries as a corporate spokesperson, manager of crisis communications globally, coaching senior-level executives on communications tactics and developing internal and external communications strategies. 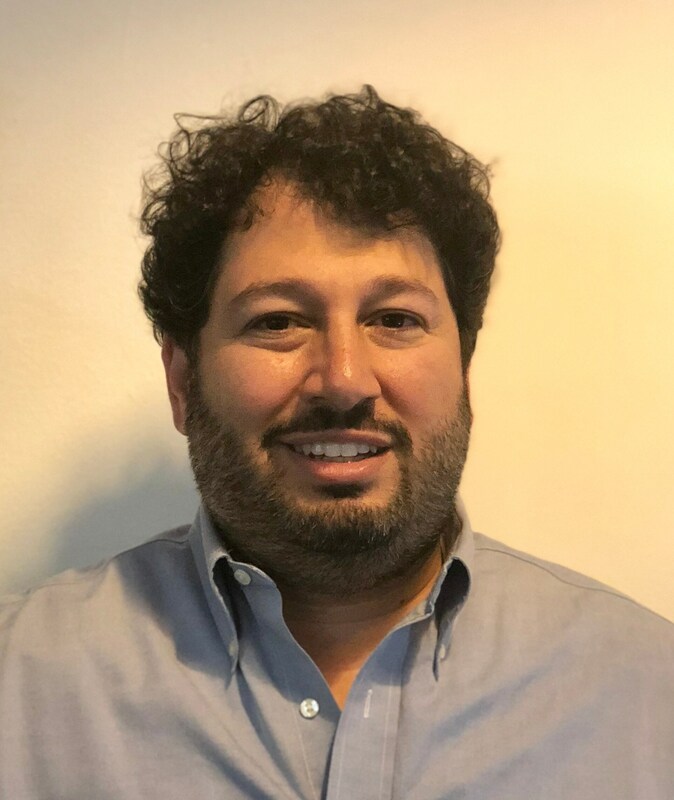 Jeremy Goldberg is the President & Quarterback of LeagueApps, a technology company that powers how sports is organized around the world. 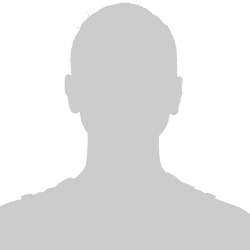 He oversees all marketing, business development, investor relations, and people operations. He is also a partner at MEDIA, a venture development firm that’s created LeagueApps, Saavn, Speakaboos, and LiftMetrix. Previously, he served in technology strategy roles at the Mitchell Madison Group and Generate Insights and was the Founder/CEO of poliVOICE. Jeremy worked in various capacities for Obama for America and Seeds of Peace, and serves on the boards of Search for Common Ground and Reboot. He holds a B.S. from Georgetown and an M.I.A from Columbia University. As Co-Director of Mindset Development for the Sports Academy, Devin works with individuals and teams to achieve their full potential both on and off the field. 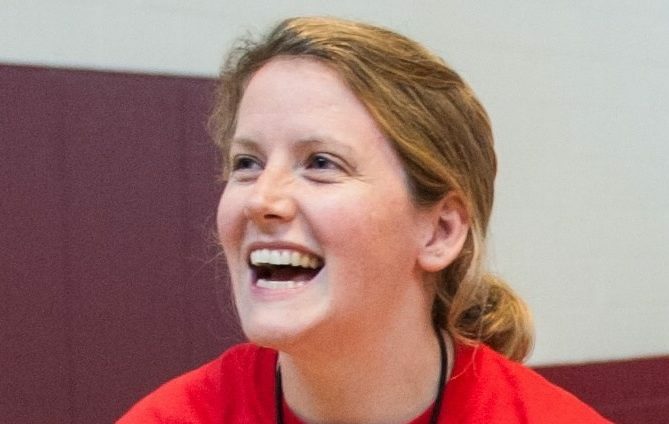 She has worked with youth development programs through Olympic and professional levels, and has developed curriculums for NFL and NBA pre-draft classes. 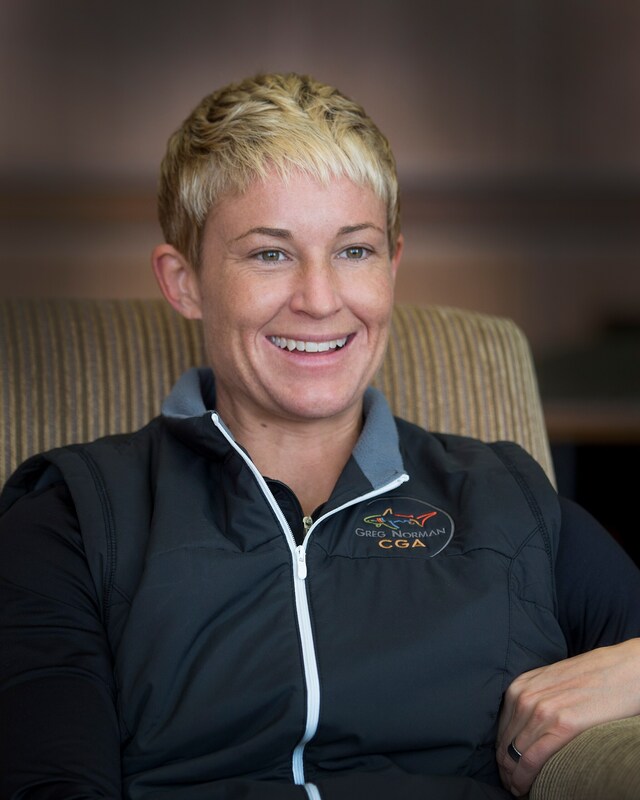 Prior to joining the Sports Academy, Devin served as CEO of Top Flight Mentality, Inc.
Devin earned her undergraduate degree as a double major in psychology and English from Vermont, and her master’s degree in counseling and sport psychology at Boston. Originally from San Antonio, Matt earned his bachelor’s and master’s degrees from the University of Nebraska – Lincoln’s Jeffrey S. Raikes School of Computer Science and Management. Within a year after moving back to Texas, his college roommate David Graff asked him to return to Lincoln to help him and their former dormmates, John Wirtz and Brian Kaiser, get their new startup, Hudl, off the ground. Matt has worn many different hats at Hudl – starting as a Software Engineer, becoming the company’s first support manager, building their global sales, marketing and operations teams, and, eventually, General Manager of Hudl’s core business – Coaching Tools. Matt currently serves as Chief Operating Officer, helping Hudl build and achieve their long-term strategies across their entire portfolio every single day. Tiffany, also known as Dr. Tiff, has consulted with several different Division I athletic departments such as Louisiana State University, North Carolina State University, Kennesaw State University, Penn State Women’s Soccer, and Davidson Women’s Soccer. 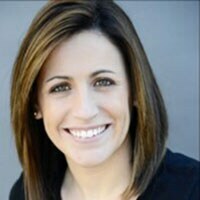 Dr. Tiff was also a consultant for the USA U-20 Women’s National Soccer, Women’s Professional Soccer, National Football Foundation, NSCAA, and Ultimate Gymnastics. Dr. Tiff has spoken at many national conferences addressing: mental toughness, managing emotions/anxiety, decreasing negative thoughts, coming back from injury, motivation, controlling the controllables, coaching the millennial generation, incorporating brain endurance training, and developing effective communication between coaches and athletes. With over 10 years of experience in alternative education and sports-based youth development settings, Andy is the current National Trainer for Up2Us Sports. 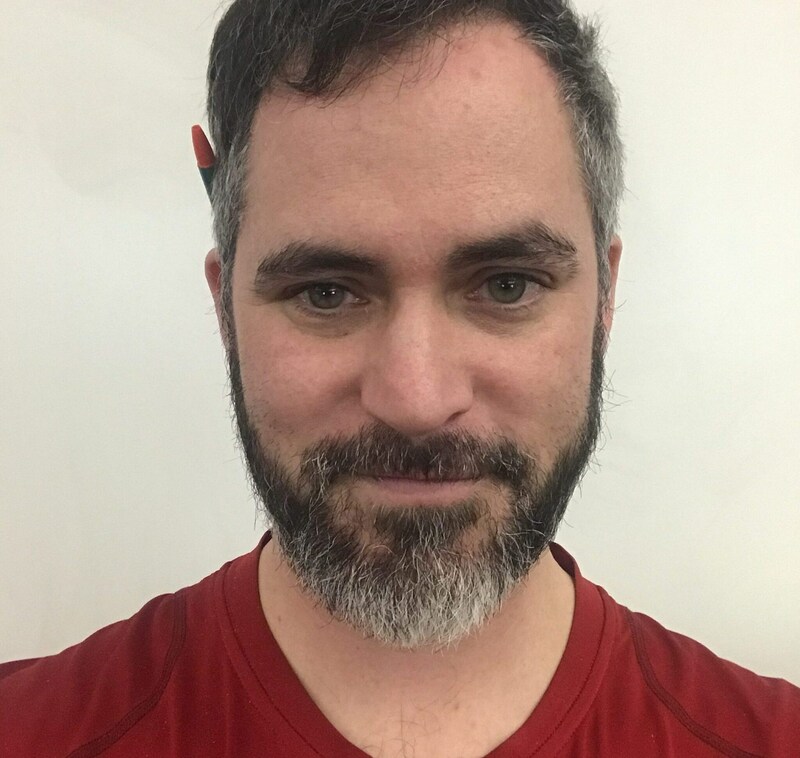 He has worked with dozens of schools to support out-of-school time programming, develop strategies for maximizing the positive impact of recess, and coach teachers to increase physical activity during class time. He has led sports=based youth development trainings for hundreds of coaches and school staff across the country. He is also an assistant coach for the u20 national team in Ultimate. Andres De La Peza is the Up2Us Sports Director of Training. 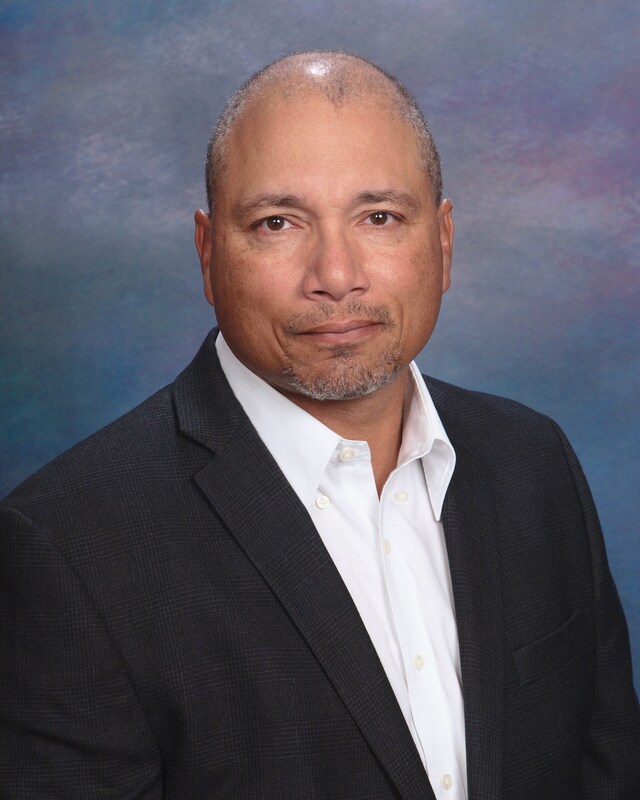 In this role, he leads a national team of trainers in designing and delivering trauma-informed sports-based youth development content to coaches and programs across the country. 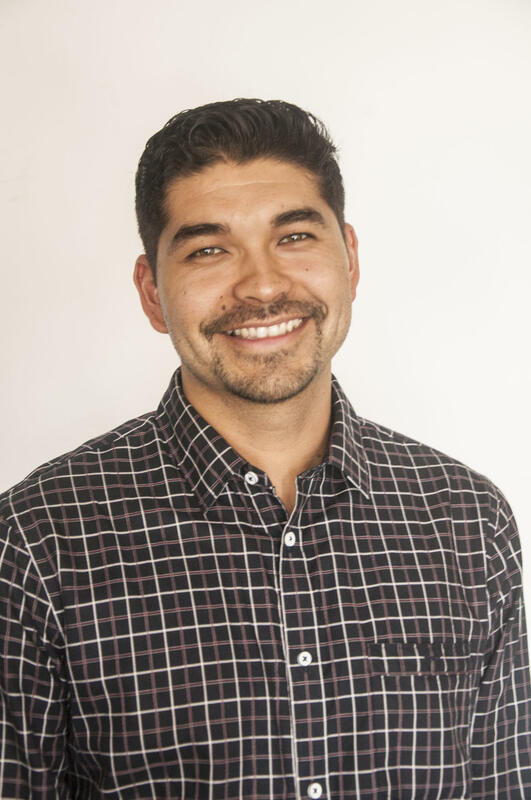 Andres is a Los Angeles native with over 10 years of community-based youth development experience. Prior to joining Up2Us Sports, he worked with the education non-profit City Year and America SCORES LA, a non-profit after-school program that uses soccer, poetry, and service learning to help youth become engaged in their health, education, and community. Andres is a graduate of Santa Clara University and a proud AmeriCorps Vista alumnus. After helping his aunt distribute food to the Chicago homeless, it quickly became Jahkil’s mission to build awareness of homelessness and to help the homeless population. 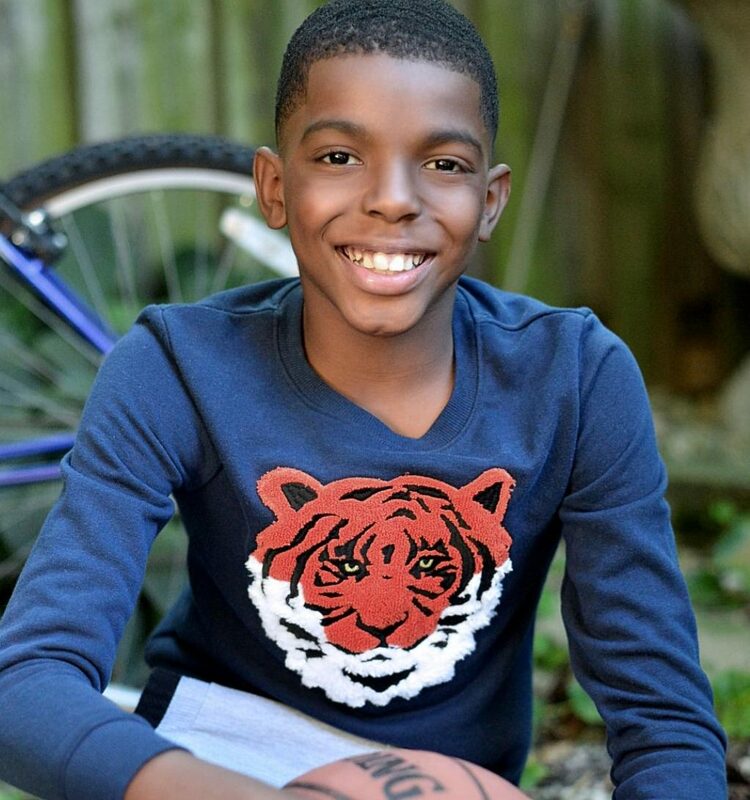 At just 8 years old, Jahkil founded Project I Am, which serves the homeless with “Blessing Bags”, a giveaway filled with wipes, socks, deodorant, hand sanitizer, granola bars, toothbrushes, toothpaste, bottled water, and more. In just a few years, Jahkil’s efforts have touched over 20,000 men, women and children across the world. In 2017, Jahkil became a member of the International Youth Council of WE, a worldwide movement empowering youth to make the world a better place. That same year, Jahkil was acknowledged as one of three influential people of 2017 by President Barack Obama and the Obama Foundation. Jahkil continues to follow his passions by serving as a motivational speaker on a mission to influence kids around the country to find their voice and get involved in their communities. Delise S. O’Meally was named Executive Director of the Institute for Sport and Social Justice in August 2014. The Institute uses the power of sport to effect positive societal change. It educates and empowers individuals and organizations through inspiring values-based thinking leading to actions that promote social responsibility and equality. 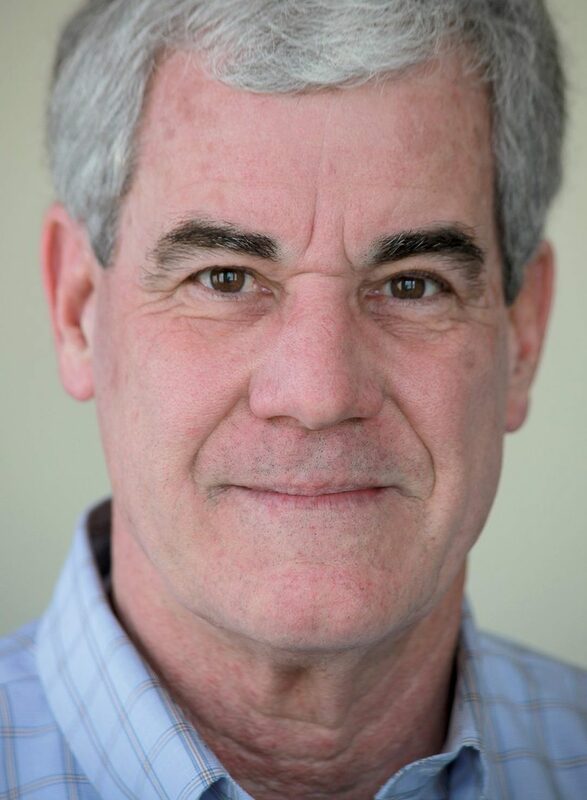 As Executive Director, O’Meally is responsible for strategic planning, leadership, fundraising, operational planning, and managing the activities of the Institute. She plays a primary role in the organization’s Human Trafficking awareness program which, over the past three years has impacted tens of thousands of students, faculty, administrators and others on college campuses across the nation. 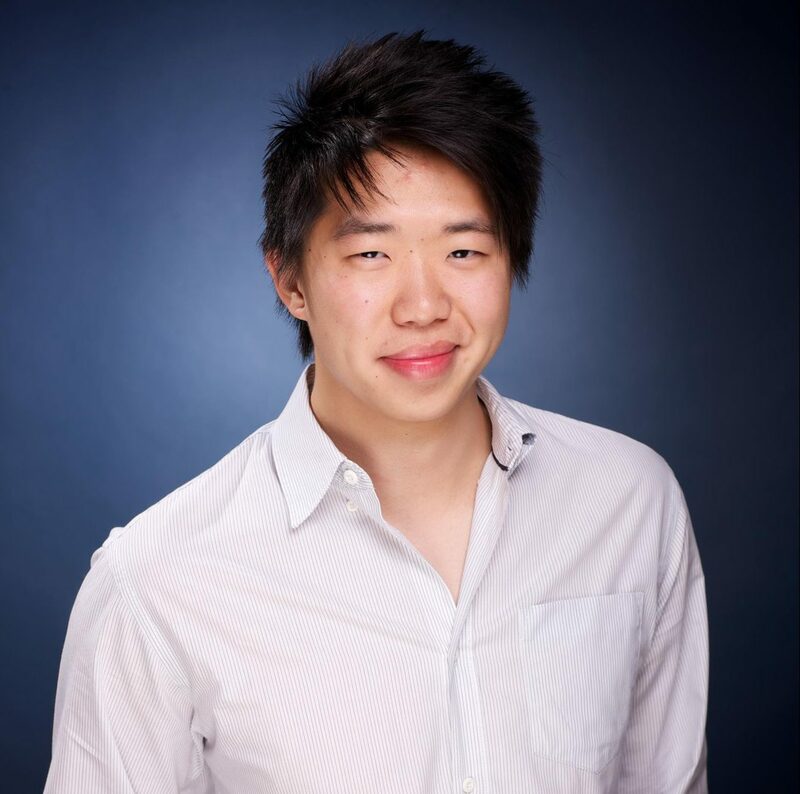 Alex Wu is a founding team member and the VP of Strategy, Marketing, and Partnerships at NEX Team, a mobile AI company and the makers of the HomeCourt basketball app. Alex has over a decade of technology experience, holding various leadership positions at organizations like Facebook, Uber, Quora, and Obama for America. Alex received his B.S. in Commerce and American Politics from the University of Virginia. As a former coach with experience in DI, DII, DIII and the WNBA, Betsy utilizes her unique background with individuals ready to improve and teams of all kinds — from the locker room to the boardroom. As “The Coaches’ Coach” Betsy helps coaches do what they’ve yet to do, so they can be who they’ve yet to be. As a communication specialist, Betsy assists individuals in all facets of communication while developing the connective skills to build relationships and sustain success. Professional, playful, and with a talent for people-centric design, Betsy offers an experiential approach towards learning and development. 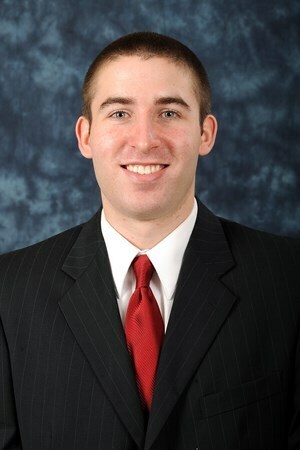 Evan Suttner is the President of the Pacers Athletic Center (PAC). In his time as President, the facility has grown to become home to the largest team program and the largest youth basketball league in the state. The PAC is also recognized as a Jr. NBA Flagship Network member, playing host to major tournaments from operators such as the Jr. NBA, USA Basketball, Nike Boys and Girls EYBL, Under Armour, and Adidas. 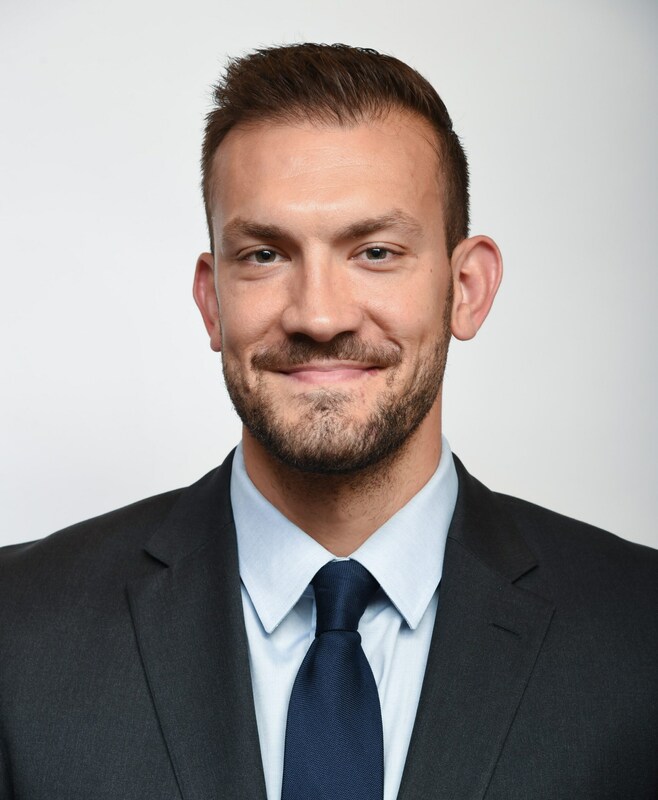 Prior to joining the PAC, Evan served as Graduate Assistant for Indiana University Women’s Basketball, Advance Scout for WNBA’s New York Liberty, Site Coordinator and Instructor for PGC Basketball, and Director of Indiana Primetime Basketball. Dr. Karissa Niehoff has worked in public education and athletics since 1989, coaching multiple varsity sports and serving as athletic director, as well as a middle school assistant principal and high school principal. Her work in education and athletics extends beyond the public school realm, as she served four years on the Education Committee of the United States Olympic Committee, and was co-founder and Dean of the “Passing the Torch” Academy for Youth Sport Leadership. In August 2018 she assumed the position of Executive Director of the National Federation of State High School Associations (NFHS). 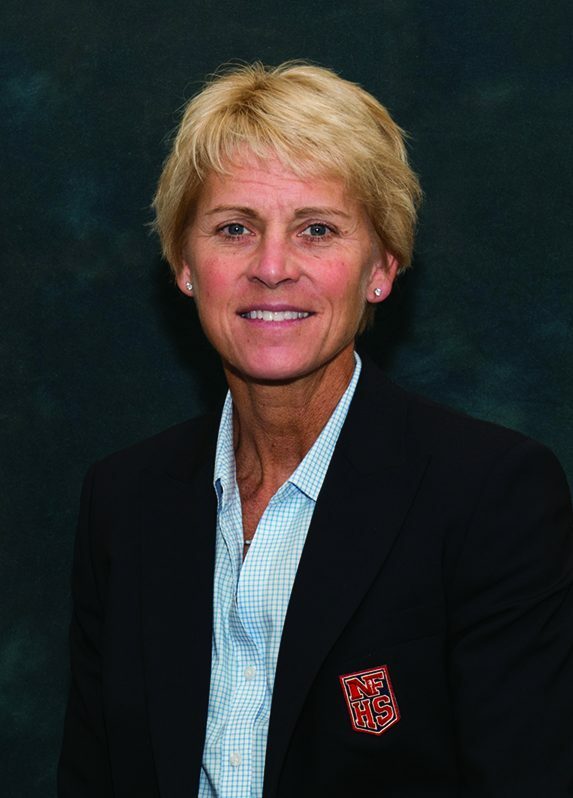 Dr. Niehoff is the first woman selected to lead the NFHS, and among the few women in U.S. history to serve as CEO of a national sport organization. worked nine seasons at the NCAAM D-I level. Development Alliance (ODA) and Officiating Commentators Alliance (OCA). Kathleen has been an early adopter in the sports and entertainment industries. The former broadcast journalist has spent a professional lifetime connecting dots that others don’t even see. She was one of the first female broadcast news anchors, a female pit reporter for ESPN, and founded a media training company for college and pro sports. Kathleen is able to see a need, and then deliver. When the marketplace was fixated on the peculiarities of Millennials, Kathleen migrated to what’s NEXT‐ Generation Z. She turned to teens to build WeRGenZ from the bottom up. Today she helps global brands understand the future through today’s youth and amplifies voices of that generation. 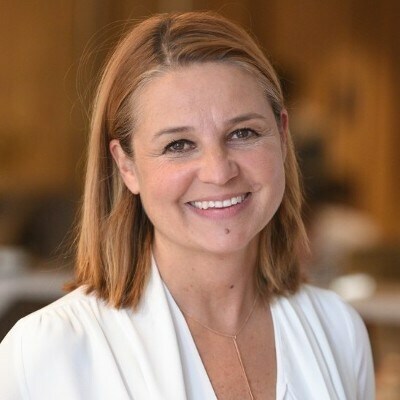 She’s a much sought-after public speaker and consultant wowing audiences with insights derived from her original Generation Z research and thousands of members of her WeRGenZ Teen Think Tank. David Shapiro is the President of the US Youth Division and Head of US Sales for Pixellot. He has 20 years of experience in management, coaching, technology and corporate development in the sports industry. Prior to joining Pixellot, David was the CEO of Steel Sports for four years and CRO at Positive Coaching Alliance for thirteen years. David has also held positions in minor league baseball and with the California Community College Commission on Athletics. 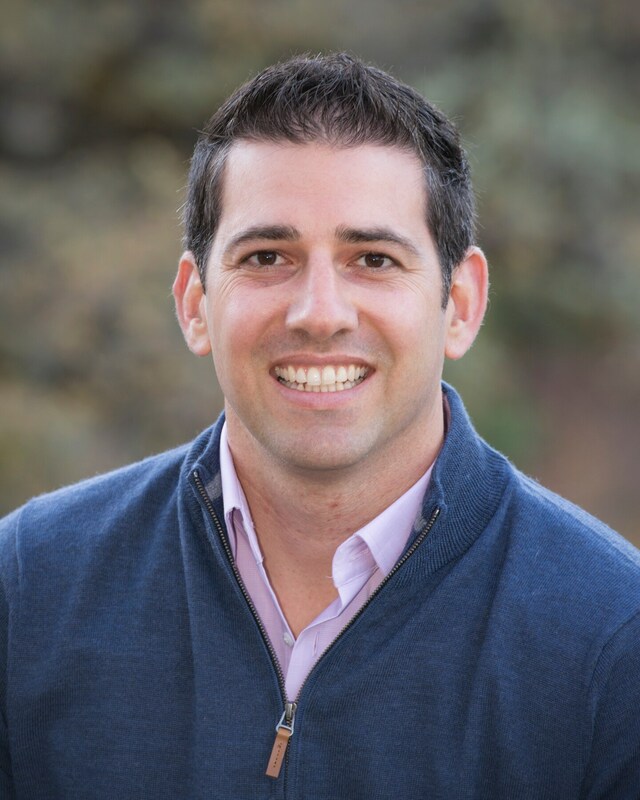 David is a graduate of the Executive Program for Non-Profit Leaders at the Stanford University Graduate School of Business and he received a bachelor of science in Managerial Economics from the University of California, Davis. Lindsay Gottlieb recently completed her eighth season as head coach of the Cal women’s basketball team, and her eleventh season overall as Division I head coach. In her eight seasons in Berkeley, Gottlieb has assembled a record of 179-89, the second-most wins by any head coach in Cal women’s basketball history, and an overall head coaching record of 235-128. The Golden Bears have made seven NCAA Tournament appearances in Gottlieb’s eight seasons, highlighted by the program’s first-ever trip to the Final Four in 2013, and her honor of 2012-13 Pac-12 Coach of the Year. Gottlieb is involved in leadership and mentoring committees through the Women’s Basketball Coaches’ Association (WBCA) and was honored with a Coaching Corps Game Changer Award in January 2019. Ashley Howard was named the 19th head coach of the storied men’s basketball program at La Salle University on April 8, 2018. Howard most recently served as the top assistant coach to Jay Wright at Villanova University for five seasons. Howard accepted the new role after five seasons as the top assistant coach to Jay Wright at Villanova University. During his time there, Howard was involved in all aspects of the Villanova program, including on-court teaching, player development and recruiting. He was instrumental in helping the Wildcats win two NCAA National Championships and setting a new NCAA record for the most wins in a four-year span. TJ Rosene just completed his 17th season as a head college coach. He has amassed over 350 wins and twelve 20+ win seasons, including a current run of 10 straight. He has coached in six national championship games, winning three, and has been named National Coach of the Year three times. 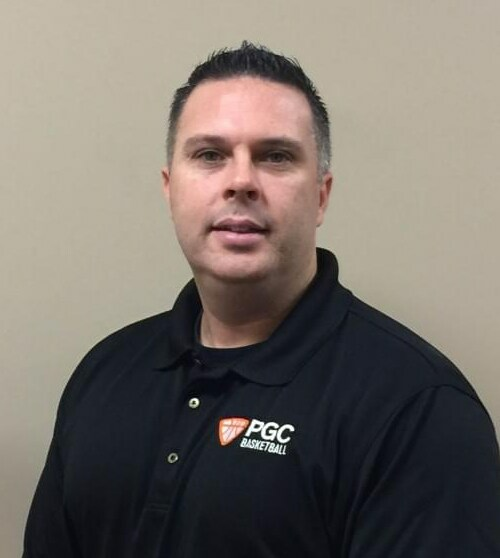 TJ has also been with PGC Basketball for almost a decade, serving as Director of Coach Development. He is the co-host of Hardwood Hustle, a basketball and leadership podcast aimed at educating, encouraging, and empowering coaches all over the world. He has a passion for serving empowering coaches so that they can enjoy all the gifts and rewards that come with being a coach. Veteran collegiate sports administrator Lynn Holzman returned to the NCAA as vice president of women’s basketball in February 2018 and is responsible for the strategic direction, oversight, operations and management of NCAA women’s basketball in Divisions I, II and III. She serves as the primary liaison to the women’s basketball committees and provides strategic oversight of the site-selection process for each championship. In 2017, Holzman was named the president-elect of Women Leaders in College Sports. Holzman earned her Bachelor of Science degree at Kansas State University where she was captain of the women’s basketball team and a three-time Academic All-Big Eight Team member. Holzman was awarded the Big Eight Conference’s Postgraduate Scholarship and is recognized as a Distinguished Alumni by the University of North Carolina Chapel Hill. Joe Kennedy is a Mental Conditioning Coach for the IMG Academy Basketball program. 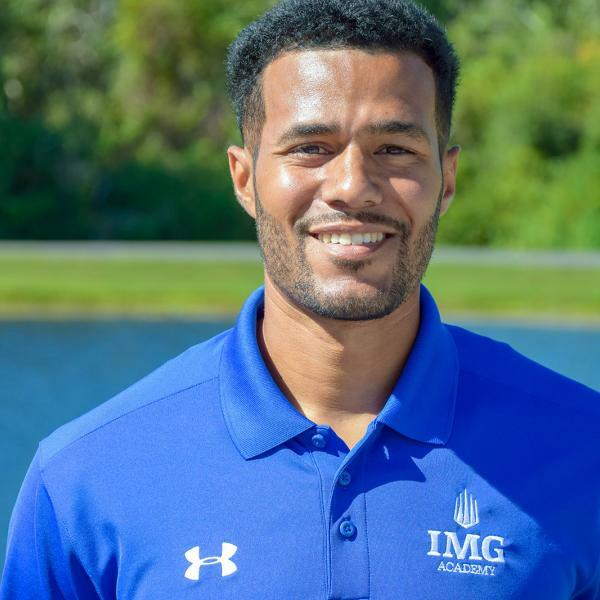 In his role at IMG Academy, Joe teaches concepts from sport psychology including mental toughness, self-awareness, energy management, thought management and motivation. Additionally, Joe helps athletes develop their cognitive-perceptual skills to increase hand-eye coordination, reaction time, peripheral vision and depth perception. Prior to his position at IMG Academy, Joe consulted with a variety of athletes at the youth and professional levels while also teaching sport psychology principles and resilience to United States Military personnel at Fort Sam Houston, Texas. 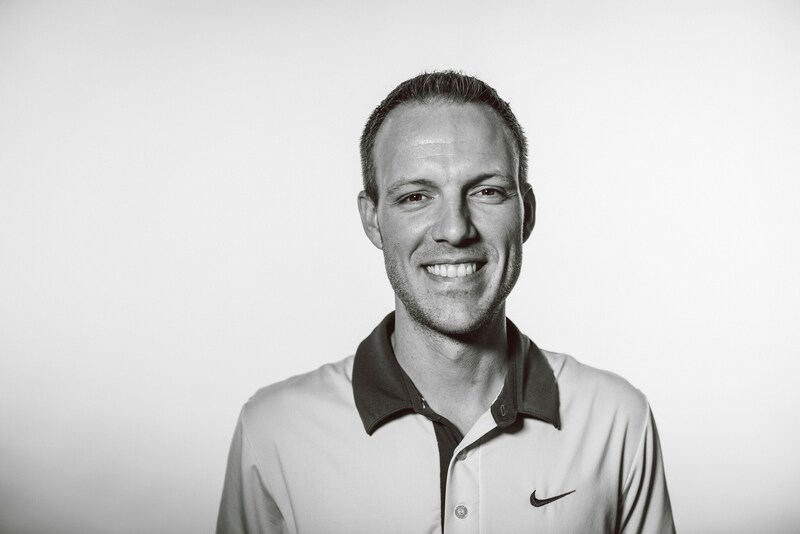 Widely considered the world’s top expert in Sports Leadership, Jeff Janssen works with top pro, college, and high school athletes and coaches around the world. He has worked with over 30 NCAA National Championship teams and consulted with Final Four teams from Michigan, Arizona, North Carolina, and South Carolina in both men’s and women’s basketball. His popular Team Captain’s Leadership Manual has been used by thousands of coaches and athletes around the world and is considered the “gold standard” program to develop leaders at all levels. He is the originator of cutting edge Sports Leadership Academies across the country. Sam Taub is the Director of Youth Basketball & Development for the Boston Celtics. Currently in his fifth season, Sam started in Community Engagement before forming a new department and becoming the first Celtics employee dedicated solely to youth basketball. 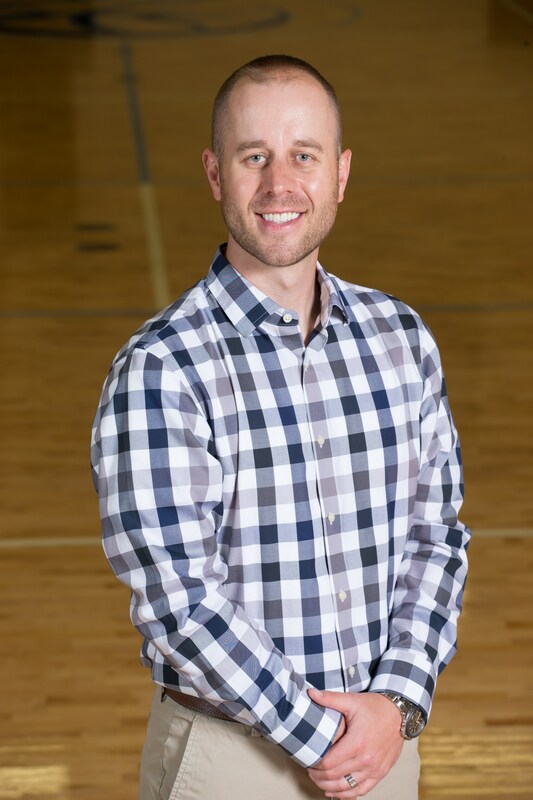 Sam is responsible for the strategy, execution and business analysis of the team’s youth basketball programs including camps, clinics, leagues and tournaments. Prior to joining the Celtics, Sam coached college basketball and worked as an early childhood educator. 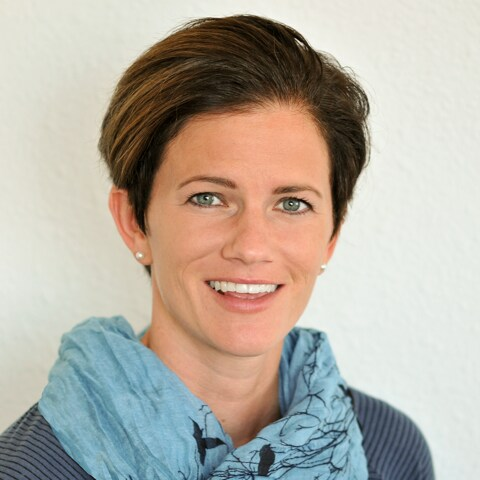 Stefanie Lemcke is the Co-founder/CEO of GoKid, an award winning carpool solution for schools, teams and busy families. GoKid is part of the rapidly growing shared mobility market and has enabled over 300,000 trips to sports practices and games. The solution is available on IOS, Android and as a web app. Stefanie is a serial entrepreneur and an experienced digital manager who has worked in innovation and technology for over 15 years. With a background in the children’s market, media, and entertainment, she ran the online video department at Sky Germany, headed the legal department at the Disney channel in Germany, and worked at Sony Music. 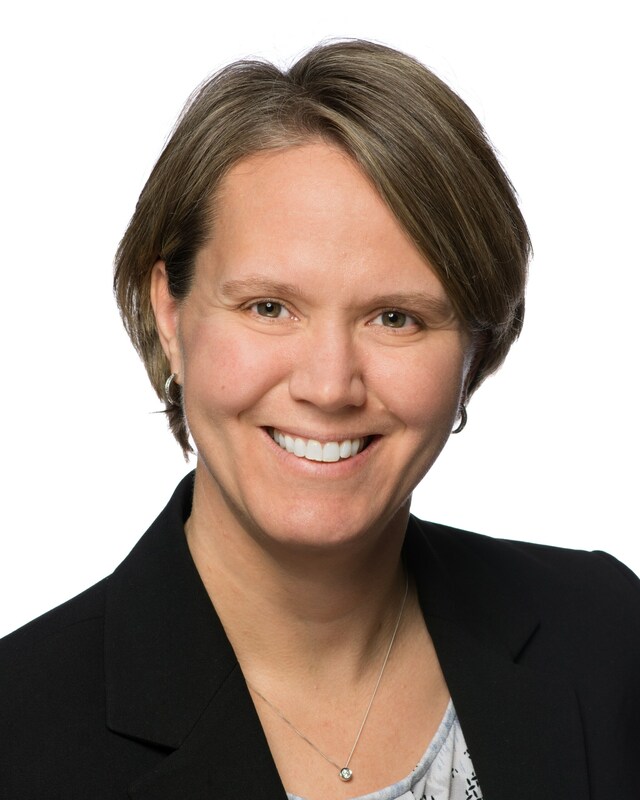 Stefanie holds a PhD in law from the University of Munich and an M.B.A.
A graduate of Duke University, Andy Borman was a member of the 2001 National Championship and 2004 Final Four men’s basketball teams. He has played with and trained numerous players that went on to play professional basketball in the NBA, D-League, and Europe. Andy has coached at the college (Univ. of California & San Jose State Univ. ), Prep School (IMG Academy, Florida), and AAU level for over a decade. He has helped over 75 players earn Division 1 scholarships and countless more play at the Division II & III levels. 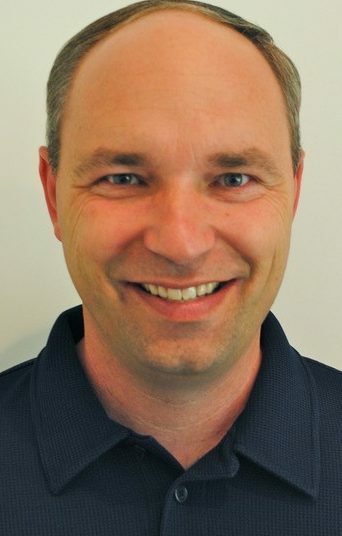 Andy was hired as the Executive Director of the RENS in August 2014, and also coaches the 17U EYBL Renaissance team. He currently resides in Brooklyn with his wife, Shawn Catherine Borman and son, Leo Alexander Borman. 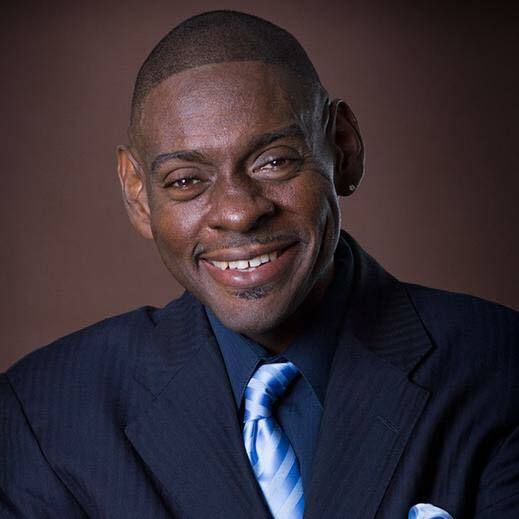 Charles Gooch is a native of Fresno California, and a graduate of Oral Roberts University in Tulsa, Oklahoma where he majored in Pastoral Care and Counseling. Known worldwide by his last name, Gooch took a break from full time Church ministry to pursue his passion for the entertainment world. He studied Improvisation at The Groundlings School in Los Angeles and has performed at The Laugh Factory and The World Famous Comedy Store in Hollywood. He has also worked with actors such as Kevin Hart, Leslie Jones, Tiffany Haddish and Tony Roberts. In 2016, Gooch became the Improv coach at IMG Academy and later the Head of the Leadership Department. In this role, he is responsible for the creation, development and implementation of Leadership/Character Development curriculum within the Athletic and Personal Development division of IMG Academy. 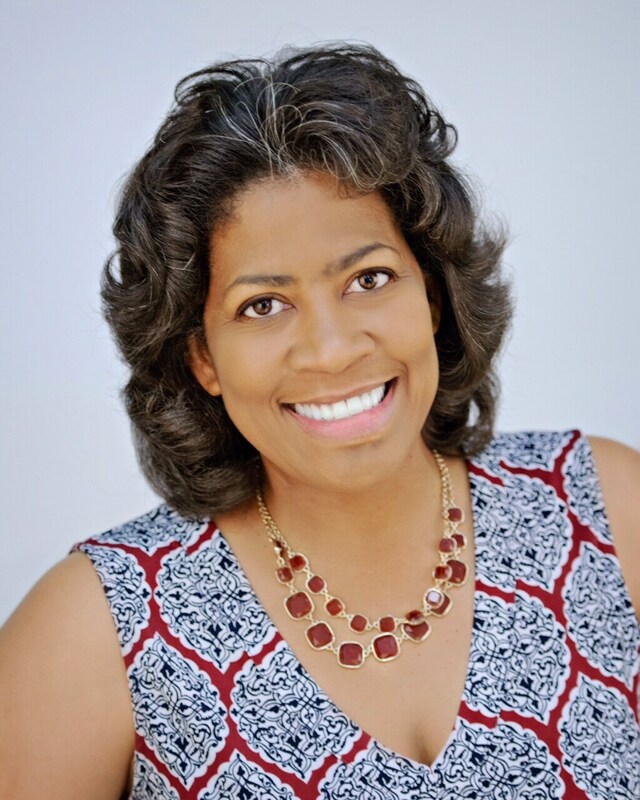 Gooch is a sought-after leadership coach, mentor, and inspirational speaker. Marcus Elliott M.D., a Harvard-trained physician, is an internationally-recognized leader in performance enhancement and injury prevention. For more than two decades, Dr. Elliott has been pioneering the use of sports science technologies and athlete assessment data in professional sports. In 2006 he founded P3 Applied Sports Science; the team has since redefined how we analyze athletes and use athlete data for injury prevention and performance optimization in professional sports. P3 has assessed over 600 players with NBA experience and worked with many NBA teams to provide research-driven assessment insights and recommendations. P3 also uses advanced technology to assess players at the NBA combine in a partnership with the NBA. P3 believes that the continued study of athlete biomechanics and injuries will ultimately lead to a better understanding of injury risk factors and prevention methods. After graduating from high school in Denver, Jeff Petty proceeded to earn his B.A. in Business Management from Fort Lewis College in Durango, CO. Following graduation, Petty landed his first job at Gold Crown Foundation in 2007, an organization he was familiar with as he grew up playing basketball with them. Over the past 12 years Jeff has held various job titles at Gold Crown, and is currently the Director of Sports Operations. He is devoted to making an impact on the lives of the many young athletes that participate in youth sports. Gold Crown Foundation is a nonprofit that offers youth sports and education programs to nearly 15,000 boys and girls annually throughout Colorado and the surrounding states. Dr. Derick Anderson is a licensed psychologist who has been in practice for over two decades. His expertise and experiences have made him a valued resource for individuals and organizations such as the Miami Dolphins, the National Football League, the U.S. Army Pacific Command and the Army Corps of Engineers, as well as several Fortune 500 Companies. He has developed groundbreaking and highly successful programs for Law Enforcement and special investigators nationwide including the FBI, U.S. Marshals, and the Internet Crimes Against Children task force. Dr. Anderson is the current Director of Sport Performance for the Miami Marlins and Florida Panthers. He also serves as the Clinical Consultant to the National Basketball Association and the development of their Mental Health Program.